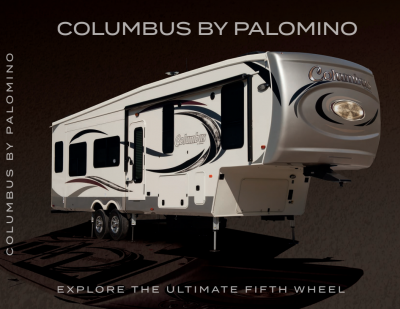 Go on a trip that is worth remembering with the 2020 Palomino Columbus 298RL 5th Wheel! Here at All Seasons RV, we pride ourselves on being one of the top RV dealerships in the country! We do it with top-notch service, a huge inventory of all the top brands and models, amazingly low prices, and fast, easy financing that can fit your budget! We're located in Muskegon, Michigan and we welcome you to stop in anytime and tour our outdoor lot and our huge indoor showroom! Drop in today at 4701 Airline Rd Muskegon Michigan 49444 or give us a call at 231-739-5269! Don't live in Muskegon? No problem! Check us out online, pick out your favorite RV, and call us today! With our fast, free 24/7, door-to-door delivery service, you'll be on the road in no time! Travel around the country with ease, as this RV has a hitch weight of 2309 lbs. and a GVWR of 14859 lbs. Once you're at the campsite, relax under the shade and protection of the 16' 0" awning! 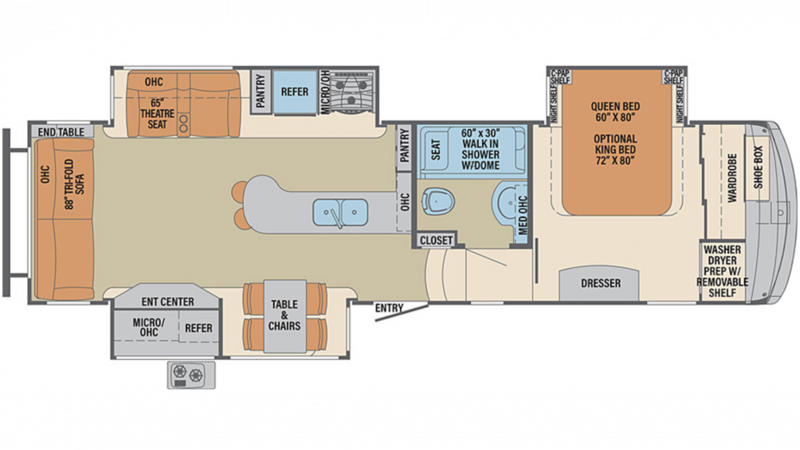 Your family deserves to be comfortable while camping, and that's exactly how you'll feel in this 36' 3" long, 8' 5" wide RV! It's 12' 4" high, so you can stand and walk around freely! The 35000 BTU furnace and the 15000 BTU a/c unit keep the interior a nice, stable, cozy temperature! Delicious home-cooked meals can be made inside this RV's kitchen! There is a 8.00 cu. ft. refrigerator, a 3 burner range cooktop, and more! Drink and clean with an excess of clean water from the 75 gallon fresh water tank! Avoid long trips to the communal bathroom with the Porcelain Foot Flush toilet and shower inside this RV's bathroom. The water is heated by this RV's 60 lbs. of LP tank capacity, and the used water and waste are dumped into the 71 gallon gray water tank and the 39 gallon black water tank, respectively. This RV comes with an outdoor kitchen, which makes picnics, tailgating, and cookouts easy and convenient! Just whip up some tasty treats and grab a nice, cold drink!